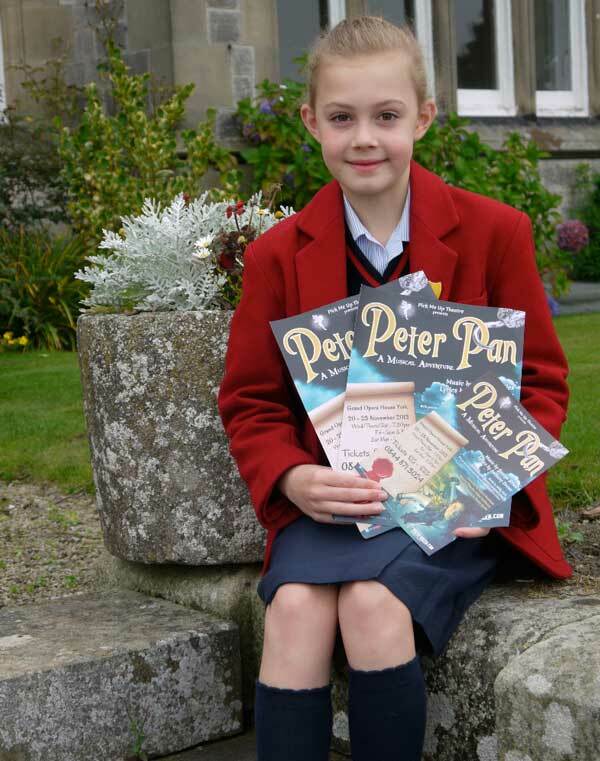 Harrogate schoolgirl Emily Belcher is flying high after winning her dream role in her favourite musical Peter Pan. The Belmont Grosvenor School pupil will be taking to the stage later this month for her role as the mischievous fairy Tinkerbell at York’s Grand Opera House. The role is a dream come true for the 10-year-old, who has always loved J M Barrie’s classic tale of the boy who never grew up – and had hoped she might one day play the part of the famous fairy. I have always loved the story of Peter Pan and have wanted to play the role of Tinkerbell for a very long time. It is a silent acting role for me – Tinkerbell doesn’t speak but I’m learning lots of songs and then will be learning to fly. Peter Pan, a Pick Me-Up amateur production, opens at the Grand Opera House in York on Wednesday 20 November, and runs until Saturday 23 November. Emily’s role in the family musical Peter Pan, by Stiles & Drewe and the late Willis Hall, is the latest in a string of stage performances by the schoolgirl. A member of Belmont Grosvenor’s highly-successful Curtain Call theatre group, Emily has already appeared on stage at the Grand Opera House in the musical Boiling Frog and Mayhem at The Grand, as well as winning a role in Sprite Productions’ presentation of Macbeth in the grounds of Ripley Castle.